Australian Rugby captain James Horwill says that all bets are off now after his Wallabies stopped the British and Irish Lions from a series-clinching win in a tense second Test struggle on Saturday. The Australians had to win the Melbourne Test and needed the game’s only try four minutes from time to claim a spirited 16-15 victory and take the epic series to a decider in Sydney next weekend. Horwill, who first must overcome an International Rugby Board (IRB) appeal hearing on Monday against his not guilty stamping verdict arising from the first Test, was emotional after the Wallabies finally broke through the Lions’ defences to level the series. “It’s all bets are off. It’s all square now. It’s now one game to win it. It’s like a grand final, really,” Horwill said. 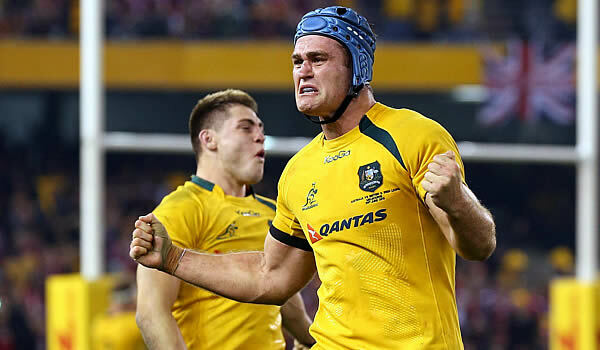 But even after Adam Ashley-Cooper’s try, nervelessly converted from a tight angle by Christian Lealiifano, the Wallabies still had their hearts in their mouths as superboot Leigh Halfpenny had a penalty kick from halfway on the angle to pinch victory. Halfpenny, who had slotted over five penalties in six kicks to continue his deadly tour scoring form, left it short much to the Australians’ relief. “He’s hardly missed a kick all tour. Your pulse rate certainly goes up and we were disappointed we let it get to that stage where we allowed them to have a shot,” Horwill said. The IRB on Thursday said it would appeal the decision of its own appointed judicial officer to clear Horwill of stamping on Lions lock Alun Wyn Jones in last weekend’s first Test, won 21-23 by the tourists in Brisbane. Wallabies coach Robbie Deans praised his players for their indomitable fighting spirit to squeeze home against the Lions. “Very proud. It doesn’t get any bigger than that. They knew the context. 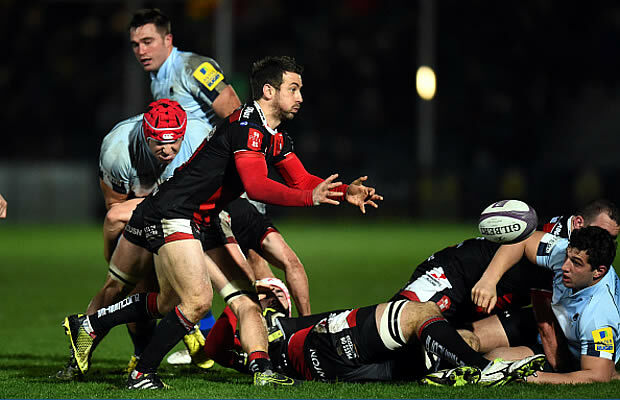 They knew that if they weren’t successful in scoring a try and converting, the series would be done,” Deans said. Deans also had a few words for fly-half James O’Connor, whose defence-splitting pass enabled Ashley-Cooper to cross the try-line. “That’ll be a big fillip for James, particularly the part he played and the defining moment,” he said. The Wallabies are expecting another mighty tussle with the Lions in Sydney as the tourists chase their first series in 16 years. “I feel they’ll bounce back like any quality team. They’ve got guys who have played a lot of Test rugby, they know what it’s about. I’m expecting it to be the toughest game of the tour. It was an important result for Deans, whose Wallaby coaching future could hinge on the outcome of this series. “We’re getting there. We’re making small steps. We didn’t get our hands on the ball that much,” he said. “It was a frustrating game to watch, as it probably was to play.